After the two excellent weeks, Hindi thriller drama Badla has got affected by the release of biggie Kesari and passed its third weekend on a decent note despite showing an uptrend at the box office. 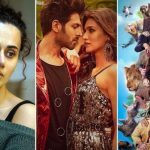 The other existing Hindi films Luka Chuppi & Total Dhamaal have also witnessed a sudden drop in their business graphs. Directed by the promising Sujoy Ghosh, the second collaboration of Amitabh Bachchan & Taapsee Pannu after 2016’s critically acclaimed Pink, Badla has got succeed to hit the target right and did the business of 38 crores in the first week & 29.32 crores in the second. Red Chillies Entertainment & Azure Entertainment’s production started its 3rd week on a decent note and minted the amount of 2.07 crores on Friday. Over the weekend, it showed a reasonable jump and raked 2.65 crores on Saturday & 2.75 crores on Sunday. With this, the total collection of Badla after 17 days has become 74.79 crores nett. 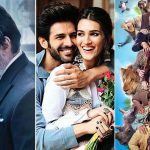 On the other hand, Kartik Aaryan & Kriti Sanon starrer Luka Chuppi had entered in its 4th weekend at an average note and minted the amount of 0.61 crore on Friday. With a limited jump, it managed to collect 0.81 crore on Saturday & 0.97 crore on Sunday. After that, its 24 days total collection has become 89.38 crores with 86.99 crores from last 3 weeks. While a month back released, Total Dhamaal has now slowed down and started its 5th week with 0.30 crore on Friday. Over the weekend, it recorded a limited jump and bagged 0.39 crore on Saturday & 0.44 crore on Sunday. After 31 days, its total collection has become 154.44 crores nett including the business of 153.31 crores from the last 4 weeks.